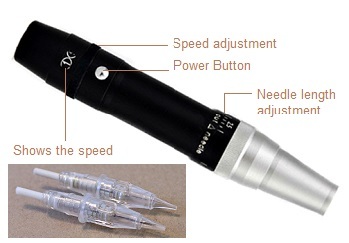 The pen can be used with or without Digital Controls. - Speed adjustment that is shown in a small opening. - Simple needle mounting: insert and turn.